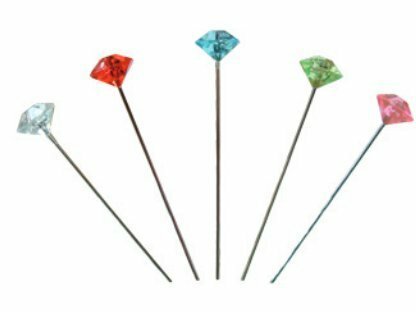 Diamante pins are a fun design element from Oasis. 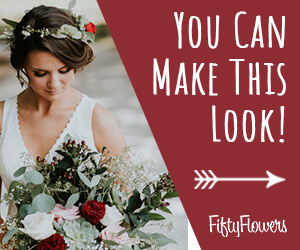 These inexpensive corsage pins come in five colors (including clear) and add sparkle and shine without too much expense. 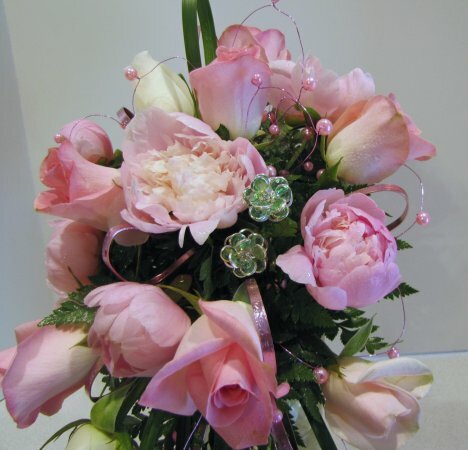 I'm going to use a contrasting color in green to compliment the heavy pink of this bridal bouquet. You can see the size of the diamante heads compared to a penny. 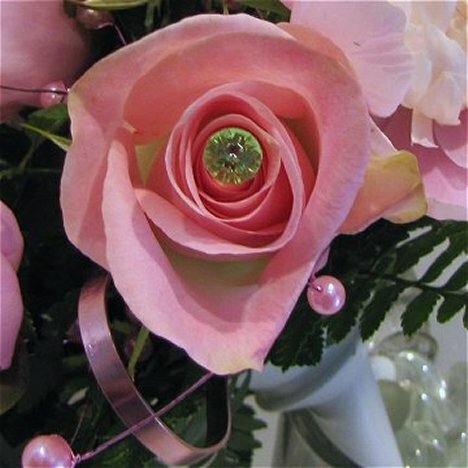 These sparkling pins add a spot of color inserted into the rose heads. 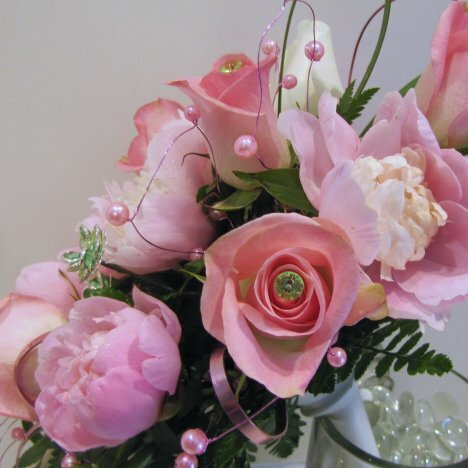 You can easily shorten the shank by cutting the pins down. 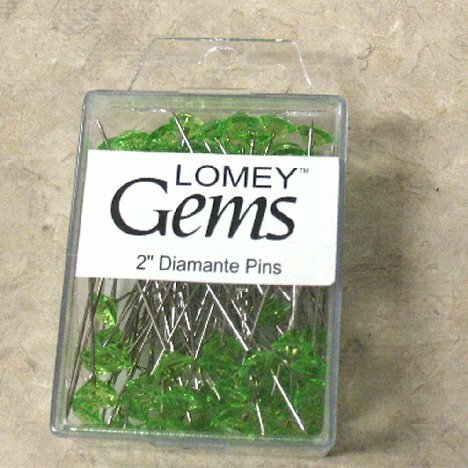 Diamante pins are not cheap rhinestones. 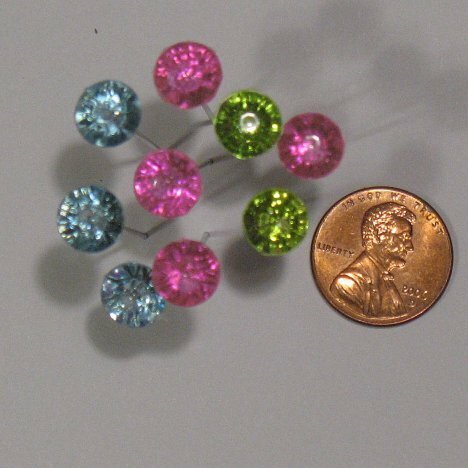 Cheap imitation rhinestones have a foil backing to give the crystal a diamond like shine. Unfortunately, they show up in wedding pictures as black dots! These pins have no foil, so the effect is clear and sparkly. I added more flower jewelry for extra sparkle.